Mike Novak founded Novak Group LLC in 2006 with a vision to form precision teams to pursue and execute niche contracting opportunities. With more than 30 years of industry experience, Mike has leveraged his experience and resources to form these best-in-class teams to make Novak Group a premier construction management and energy solutions firm. Prior to forming Novak Group, in 1980 Mike founded Contemporary Constructors, Inc. which quickly became a San Antonio based award winning general contracting firm, constructing many local landmarks ranging from the McNay Art Museum expansions, the original Majestic Theatre Restoration, the SeaWorld Administrative Facilities, Trinity Baptist Expansion…and the list goes on. CCI Telecom, Inc. was also formed by Mike in the early 90′s. CCI specialized in niche construction to provide design-build services to the high-tech telecommunications and air traffic control radar industries. Over the years, CCI became a go-to company for Fortune 500 clients in the United States, Caribbean and Central and South America. The company was consistently ranked by Engineering News-Record among the Top 15 Telecommunications Contractors in the nation. Before Mike sold the CCI group of companies to a public firm in 2005, over 5,000 cellular telephone sites had been designed and constructed by CCI along with air traffic control radar infrastructure sites numbering in the hundreds through the U.S. and Caribbean Basin. Texas Facilities Commission (TFC) – is responsible for planning, providing and managing facilities for more than 100 state agencies in over 290 cities throughout Texas. The current inventory totals 24 million sq. ft. of leased and state-owned properties. Novak was appointed to the seven-member commission in Dec. 2011, nominated by Speaker Joe Straus and appointed by Governor Rick Perry. San Antonio Military Task force (MTTF) – The Community-Military Partnership for BRAC execution. The 2005 BRAC round produced over $3 billion in construction projects and added in excess of 10,000 new jobs to the community. Presiding MTTF Tri-Chair since 2006. Morningside Ministries, 50 year old faith-based organization providing full continuum of care for older adults – $100 million in assets, one of the largest area non-profits – Chairman of the Board, 2011. Cancer Therapy Research Center (CTRC) – under the umbrella of the University of Texas Health Science Center in San Antonio, CTRC is the premier cancer treatment and research center in Central and South Texas. 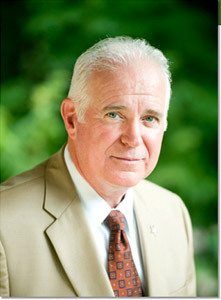 Novak joined the Board of Governors of CTRC in September 2011. Commission on Intra-City Rail and Streetcar, Vice-Chairman, 2011. Attended U.S. Army Strategy Implementation Program at the Army War College, July 2011. Community liaison to the Commanding General of the United States Army South, 2006-2011. Greater San Antonio Chamber of Commerce, Chairman of the Board, 2004. Alamo Public Telecommunications Council (KLRN Public TV), Chairman of the Board, 2004. Recipient of the St. Mary’s University International Business Leader of the Year Award, 2001. San Antonio Free Trade Alliance (International Economic Development entity for San Antonio & South Texas), Chairman of the Executive Committee, 2001-2003. Metropolitan Planning Organization (MPO), Chairman of the Board, 1998. Bexar County Commissioner, Sworn in January 1, 1995 – Four year term. Honorary Honduran Consulate, January 1992 – 1994. Recipient of the Entrepreneur of the Year award sponsored by Ernst & Young/INC. Magazine for the South Texas Region, 1992. Associated General Contractors of America (AGC) State Board, Building Branch, President of the Board, 1992. Associated General Contractors of America (AGC), San Antonio Chapter, President, 1991.